The pace of change in IT is currently measured in terms of cloud migration. Both in government and in the corporate sphere, business plans are largely centered around digital transformation. While the migrations result in better productivity, improved end-user experiences and cost savings, there is often a gap in cloud security talent. Cybersecurity’s complexity and changing nature might lead government offices to outsource their security monitoring to a managed services provider, but cloud security talent and training are in short supply in the private sector as well. Covering cloud security, in many cases, should be addressed from a tools approach when talent is not available. Can unified monitoring and management be achieved across both cloud and on-premise systems using a single set of controls? Is the solution able to support the on-boarding or off-boarding of nodes as you need to access them, so that you have continuous security coverage? Are you able to evaluate whether cloud solutions meet your internal security policies? Does your monitoring application function well in an infrastructure that supports virtual, physical, private and public cloud environments? These questions can help you assess whether you have the right applications in place for monitoring, or if current cloud security concerns require you to evaluate a new solution. 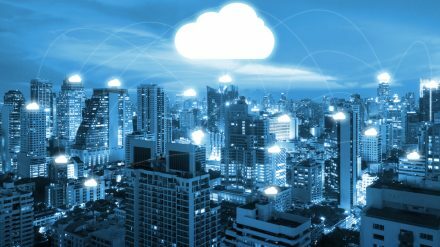 Managing the shortage in cloud security talent doesn’t require that digital transformation strategies be delayed or that government institutions train employees at the expense of other priorities. With the right monitoring tools in place, government IT can cover cloud security and move forward. The first step is evaluating your monitoring tools to determine whether you have a cloud security vulnerability. Contact us at Cory Communications for an assessment of your current tools and, if necessary, the opportunity to close the gap.